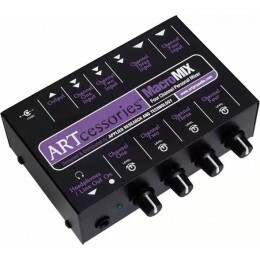 The ART Pro Audio MacroMIX is a 4 channel personal mixer. A small mixer is a handy bit of kit for the house, live or even in the studio. A mixer can be handy for music playback, monitoring or for getting lots of different signals into the one place.